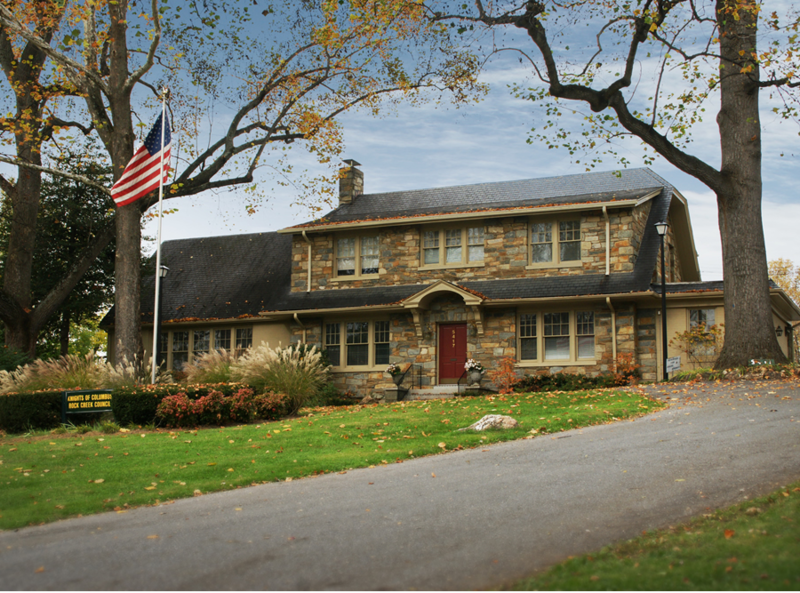 The field stone front of the mansion, set at the top of a circular driveway, is an elegant welcome to you and your guests. An ample, well-lit parking lot is located behind the building. The side entrance makes an easy access for all since there are no stairs to maneuver. The walkway covered entrance provides protection from inclement weather as guests arrive. Our cozy lounge with a fireplace and built-in bar is an ideal spot for cocktails and to display photos. 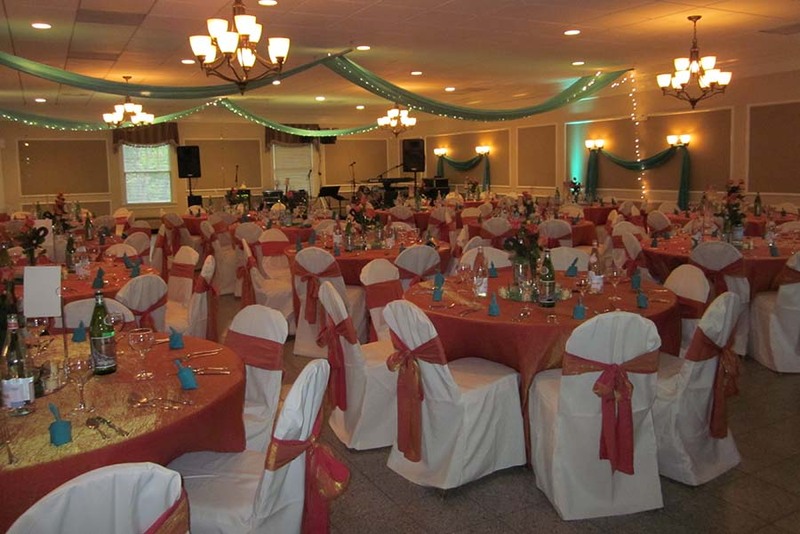 The main ballroom allows for groups of up to 160 fully seated and 200 with partial seating to dine and dance all in one space. 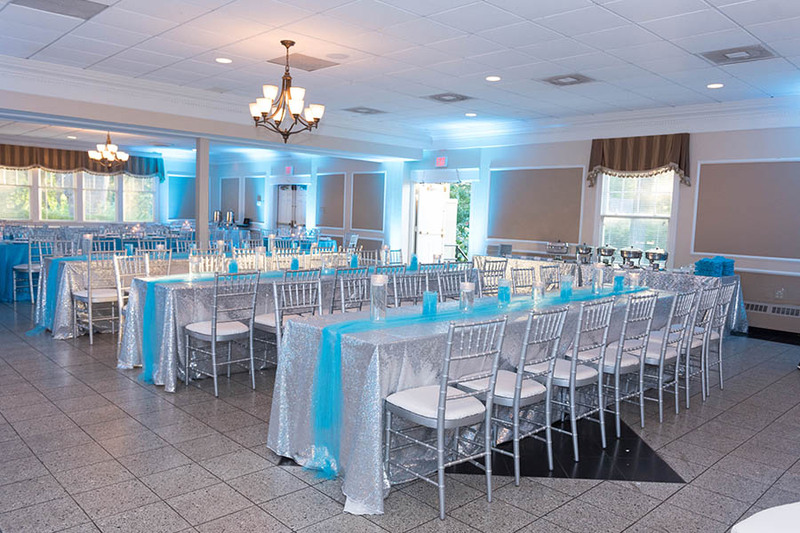 With chandeliers, sconces and a black and white tiled floor, The Rock Creek Mansion ballroom is ideal for elegant events and casual parties alike. 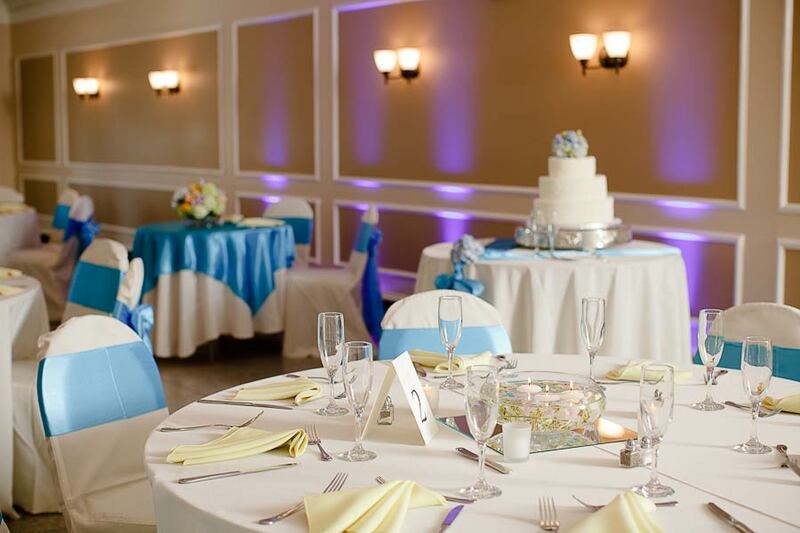 During the day windows provide a sunny view of the grounds and in the evenings, dimmed lights and candles make the ballroom a romantic, festive party room. Your guests can step outside to enjoy the stars, fresh air and views of our expansive lawn on our new private patio. 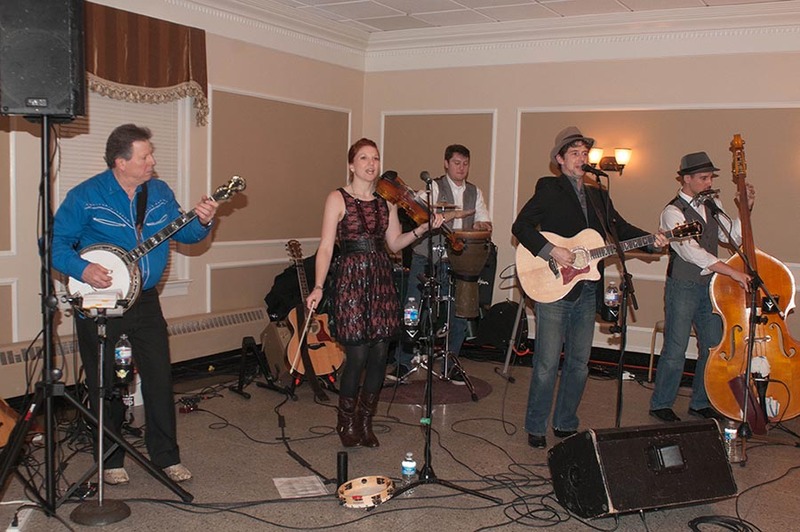 You won’t believe you are in downtown Bethesda! A private bridal changing room is available upon request. A prep kitchen including a warming oven and refrigerator space are available. The kitchen is located at the front side of the building, allowing for easy access in and out for caterers. 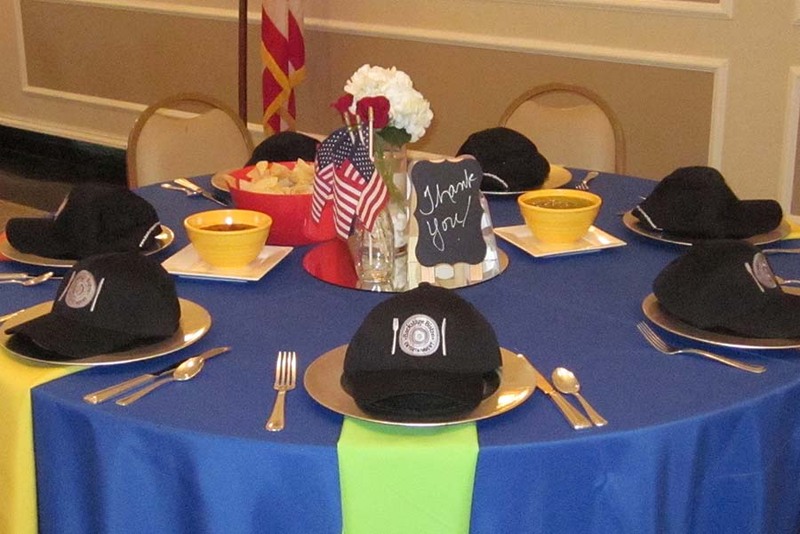 The Rock Creek Mansion maintains a list of approved caterers. 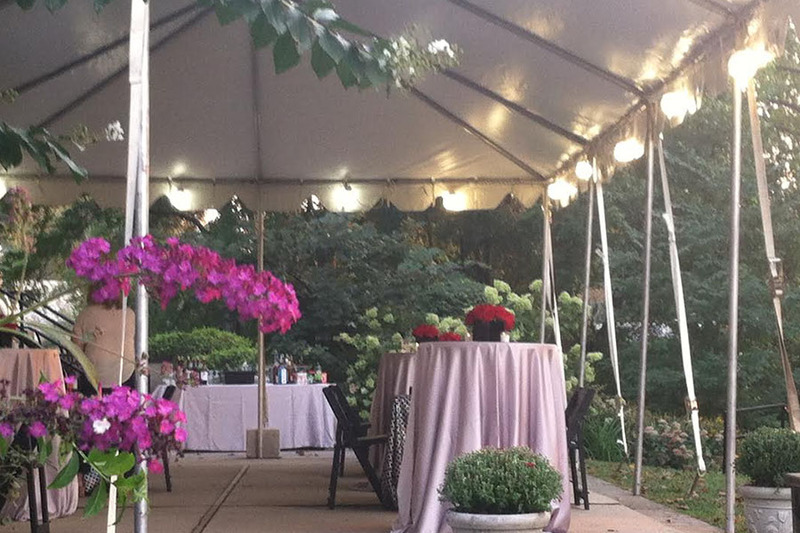 Should you prefer to use an outside caterer, they must be licensed, insured, and meet with the Rental Coordinator for approval. 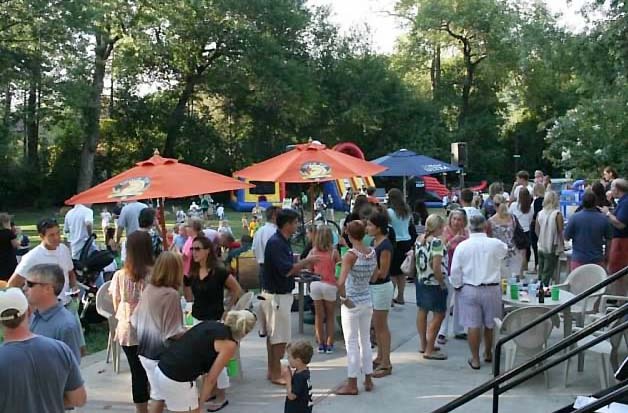 All alcoholic beverages, beer and wine are purchased and served by the Rock Creek Bar staff. A variety of beverage options are available. 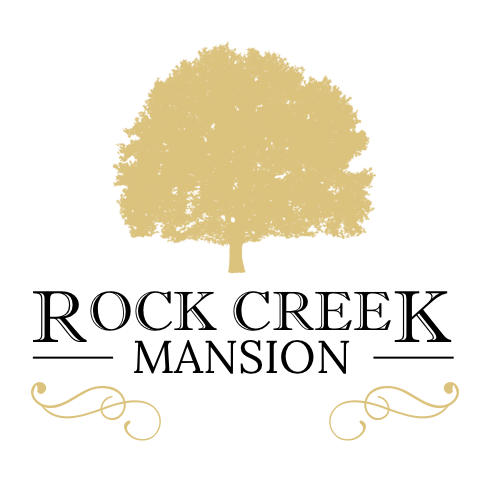 The Rock Creek Mansion staff will pre-set the tables and chairs for your function including tables and chairs for 170 indoors and patio furniture for 24 outdoors. The set up and use of our equipment is included in the rental fees. 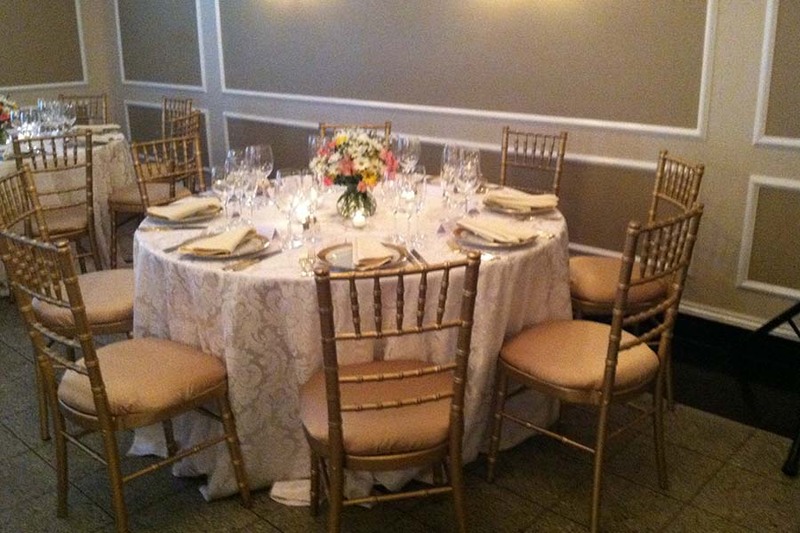 The caterer furnishes all serving piece, china, flatware and linens. 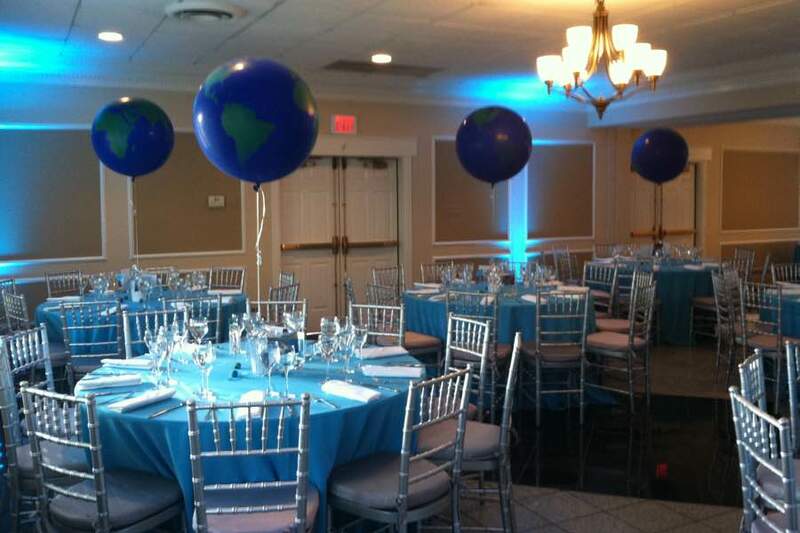 At the end of the event, the caterer is responsible returning our location to its’ original condition, including removing all trash to our dumpsters on-site. 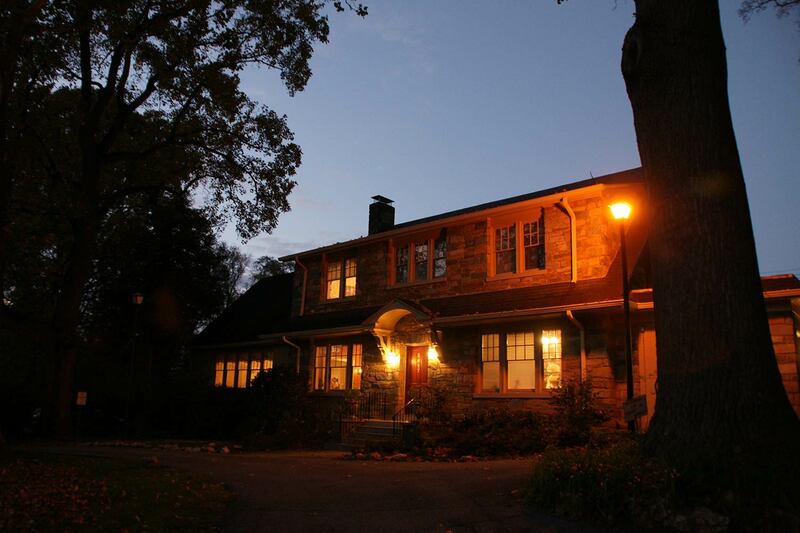 The Rock Creek Mansion offers the feel of a private home with a ballroom and outdoor patio. 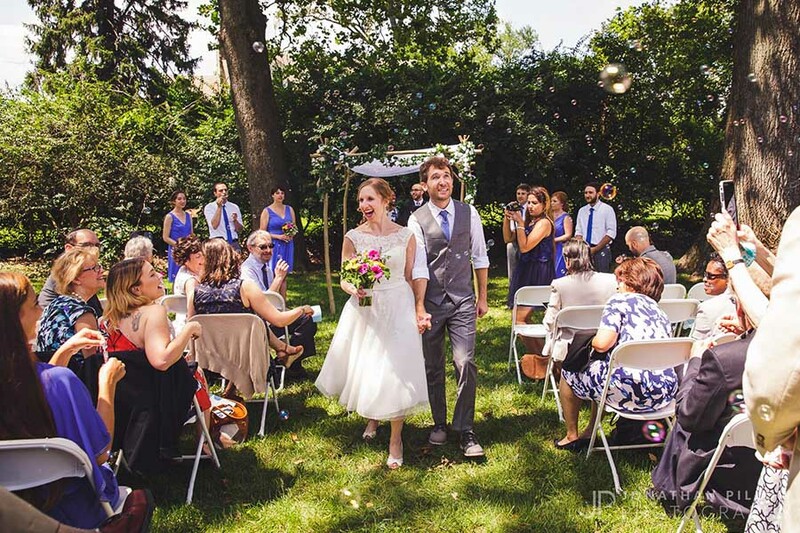 A couple can plan for an outdoor component, including a ceremony on the lawn and cocktails on the patio, with a sizable ballroom in the event of inclement weather. The Rock Creek Mansion foyer offers an elegant staircase ideal for bridal party pictures. The newly upgraded lounge provides an intimate gathering space for cocktails. The mantle is ideal for displaying personal photographs and decorations. Couples can play a personal video or slideshow on the flat screen tv, located above the built-in bar. The fireplace makes this space cozy during winter months. 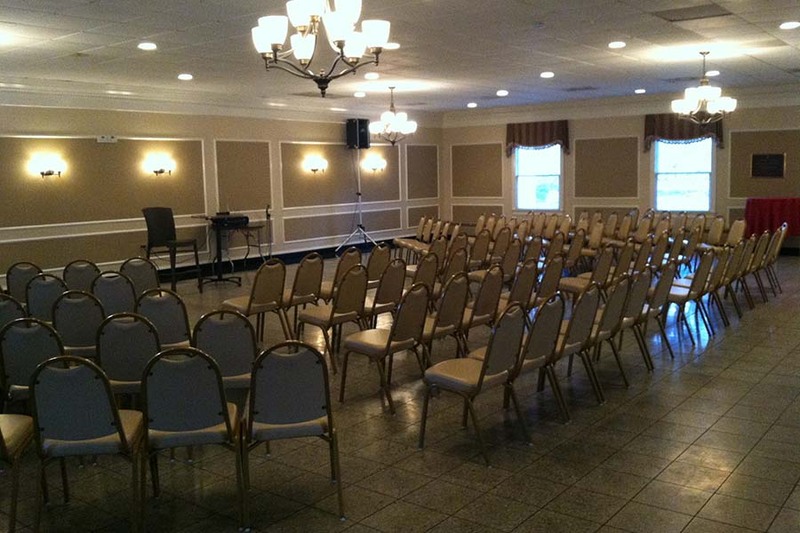 The spacious ballroom allows for full seating all in one room. Lots of windows create a bright daytime space, and the new chandeliers can be dimmed during evening events. 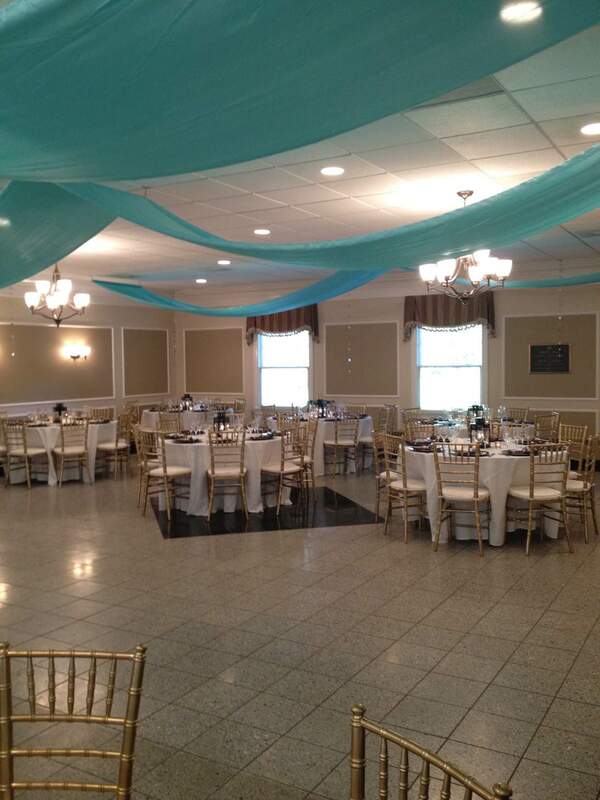 The ballroom can be set in a variety of configurations. The mansion beige padded chairs are included with the rental. If a client chooses to rent different chairs, the house chairs will be stored. During warm months, guests can enjoy the new outdoor patio overlooking the spacious lawn. This can be an ideal spot for a satellite bar and overflow seating. It can also provide a spot for a cigar area. This can be tented for an additional fee to insure use of the space. A backdrop of trees make a scenic spot for outdoor ceremonies, should couples choose to have the entire event at our venue. 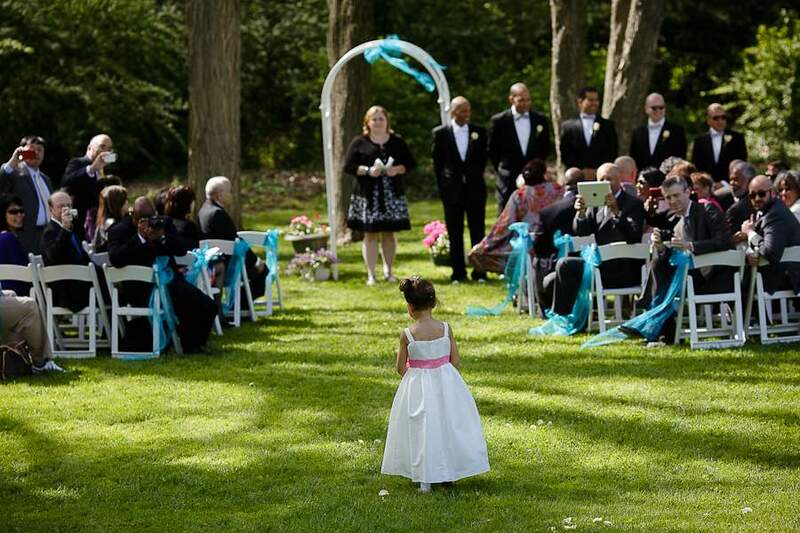 The private grounds offer various spots for photos after the ceremony with mature trees as a backdrop. The spacious lawn offers the youngest guests plenty of room to entertain themselves, either with a soccer ball or frizbee. Couples have also incorporated lawn games into the early part of the reception. A House Manager is present from the set up to the end of the clean up of each event. 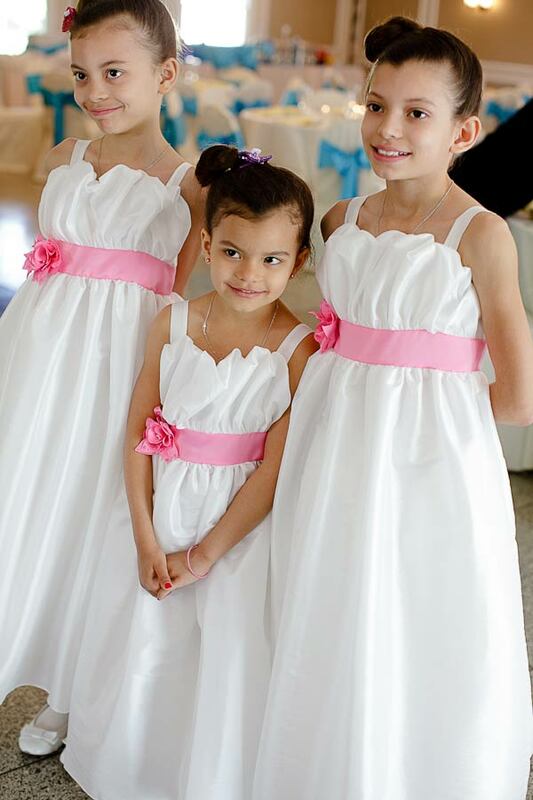 “We loved having my sister’s “mehndi” party at Rock Creek Mansion. 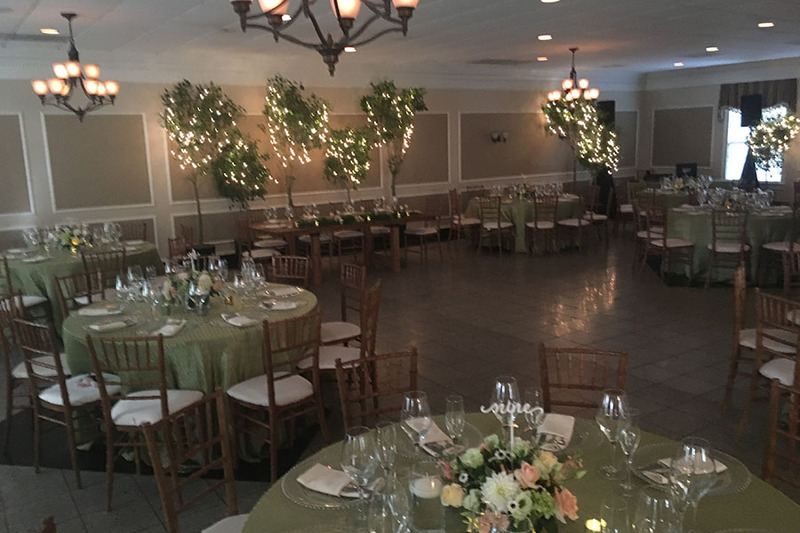 It was a great way to kick off the wedding… you gave us the ability to plan our event exactly as we wanted, from layout, to catering options, to provisions for a sound system. 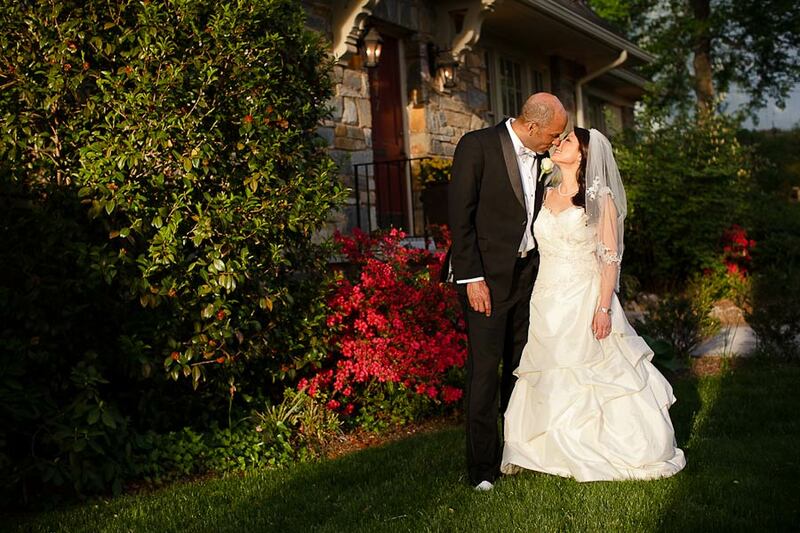 It was very easy to plan the details with you– you were always available and accommodating. The gentleman who supervised our function that evening was also extremely kind and helpful. And the space was beautiful… clean and elegant. 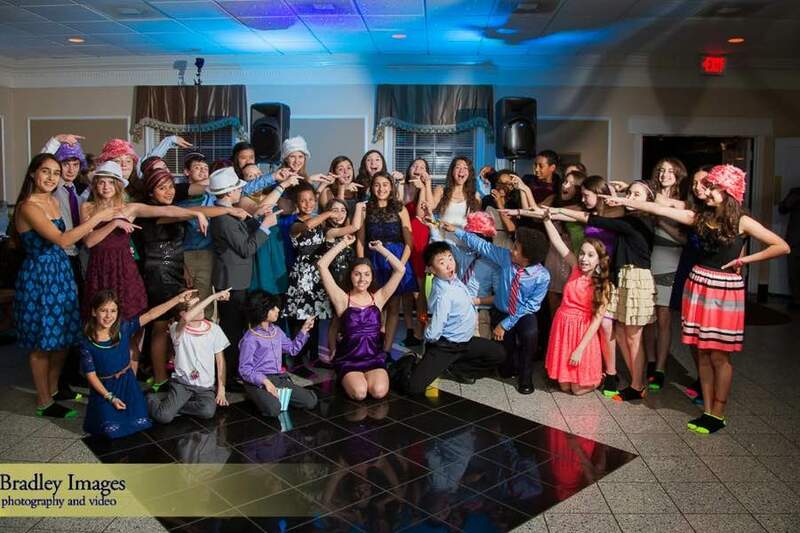 Our guests raved about the event, and many people asked how we found you. So thank you very much! 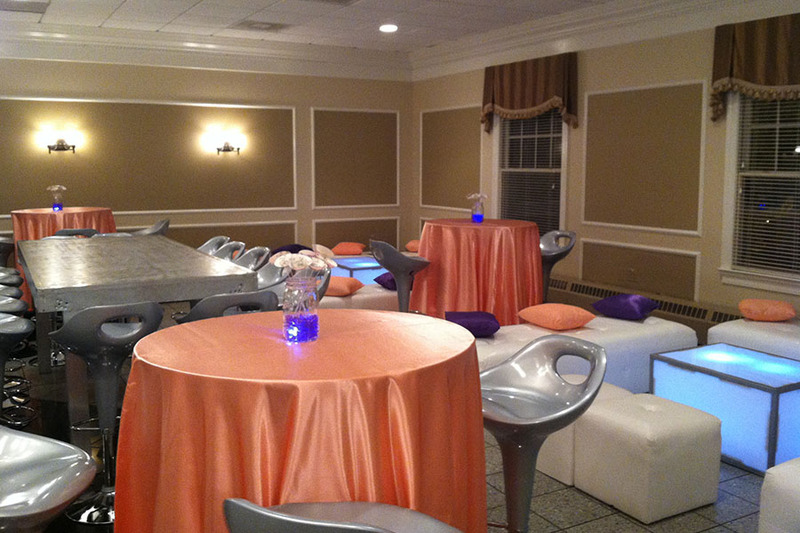 The Rock Creek Mansion is a unique, private venue for Bar and Bat Mitzvah receptions. 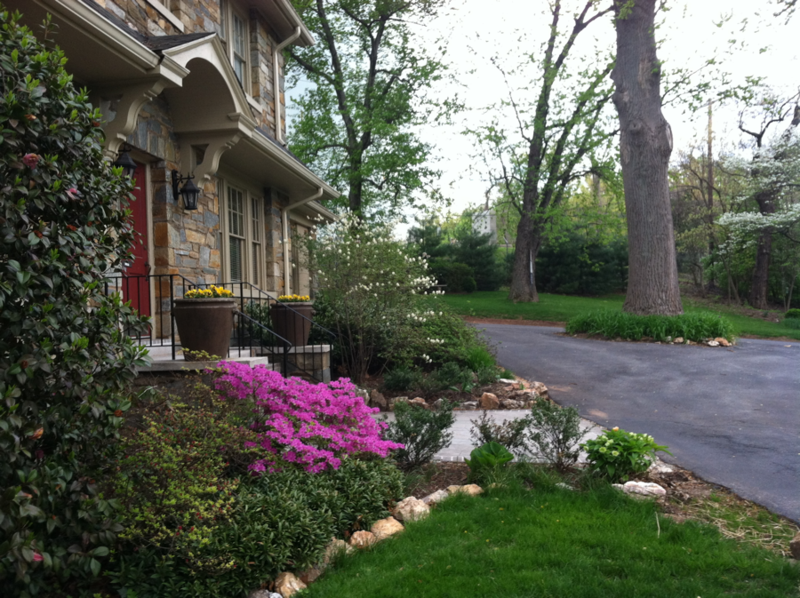 The circular driveway provides a convenient spot for guest drop off and pick up. Parents can then head into Bethesda for a meal or movie while their children party! 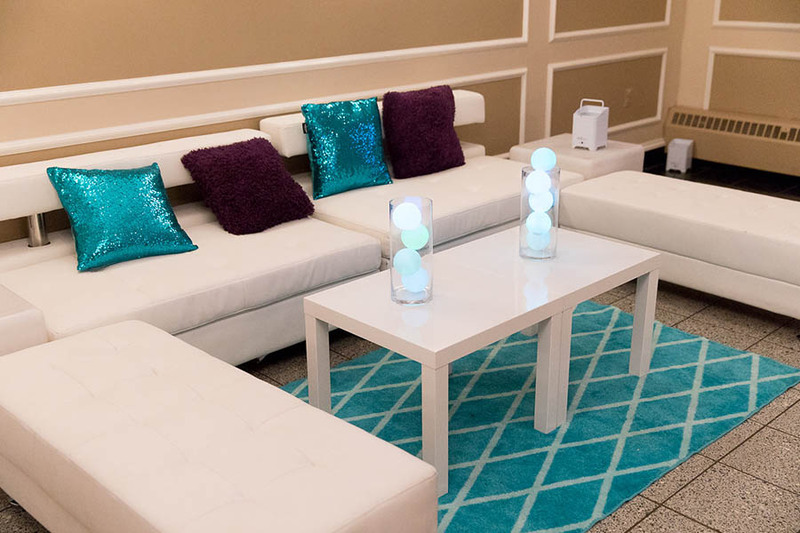 Rental clients can greet guests in the foyer, with the adults moving into the lounge for the cocktail hour, and the children going into the ballroom for dancing and games. 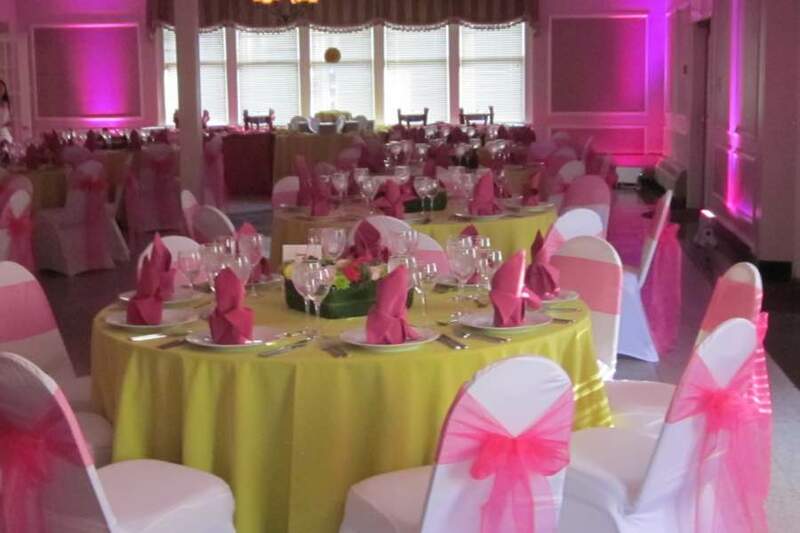 The L Shaped ballroom allows for adults to be seated in one section, the children on the other side and the dancing in the center without an actual divider. This way the older adults can be partly separated from the music. 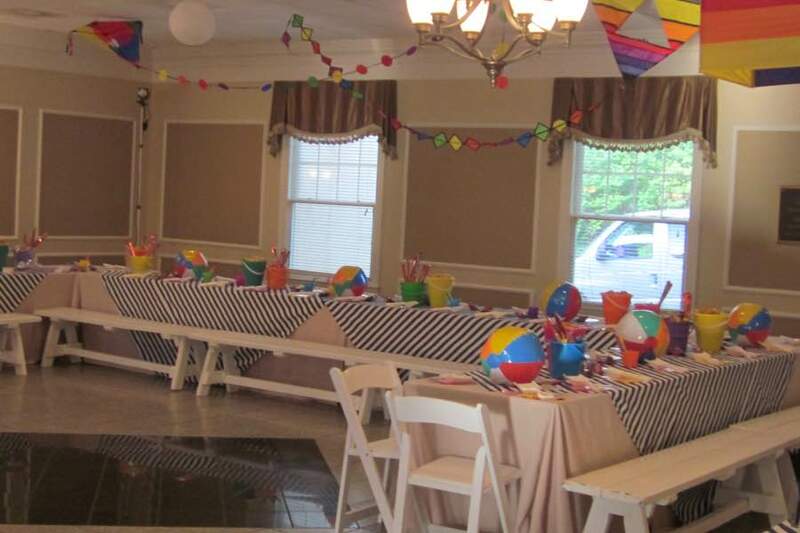 The spacious ballroom allows for a variety of creative seating arrangements, especially for the children. 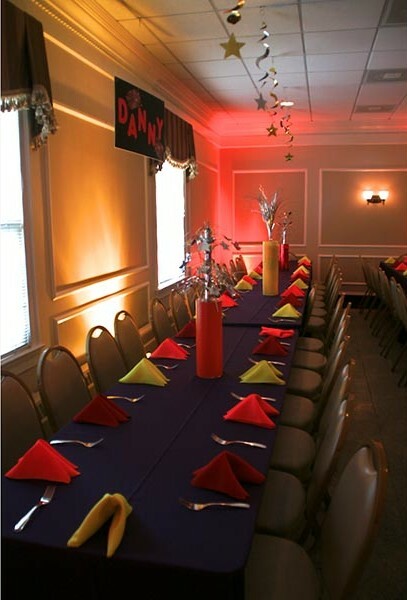 Festive decorations can be hung from the ceiling to enhance the theme. 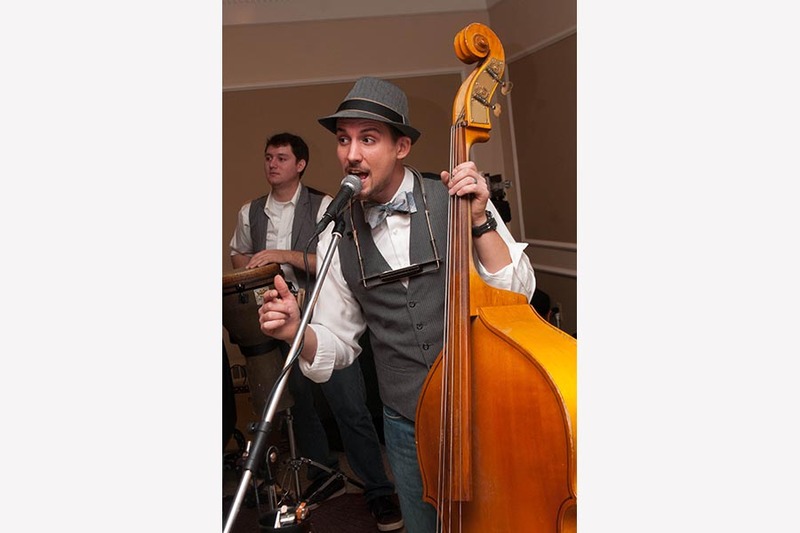 The side entrance allows for easy load in of musical equipment, casino tables, a photo booth and/or couches. The outdoor patio can provide an additional cocktail space or can be used for a smoothie station. It can be tented for an additional fee. This area can provide a green screen area. 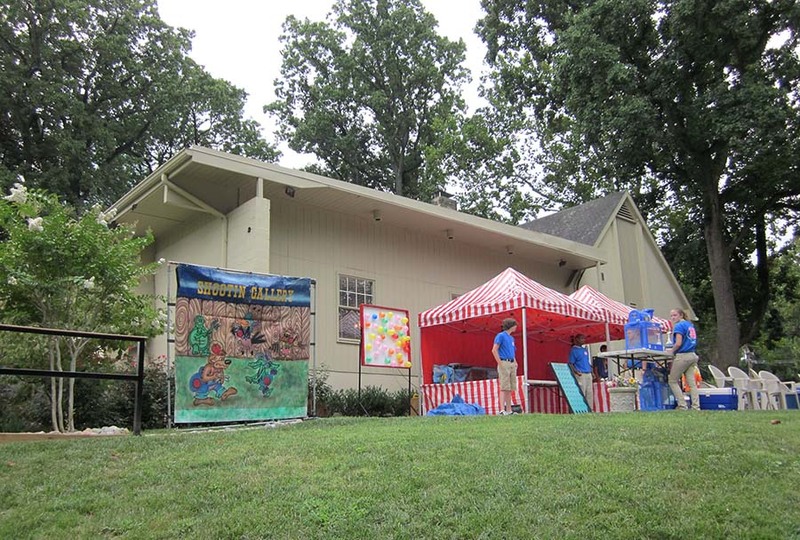 For daytime events, the lawn provides space for field day games and/or a moon bounce. 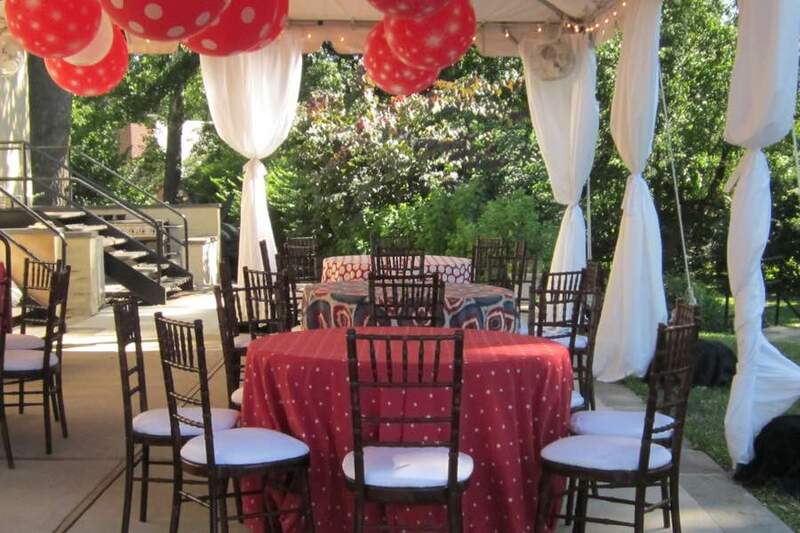 Whether the theme is a night club, casino event, Hollywood movie night, beach party, sports event, camping or field day parties, The Rock Creek Mansion is an ideal location with an easy flow. 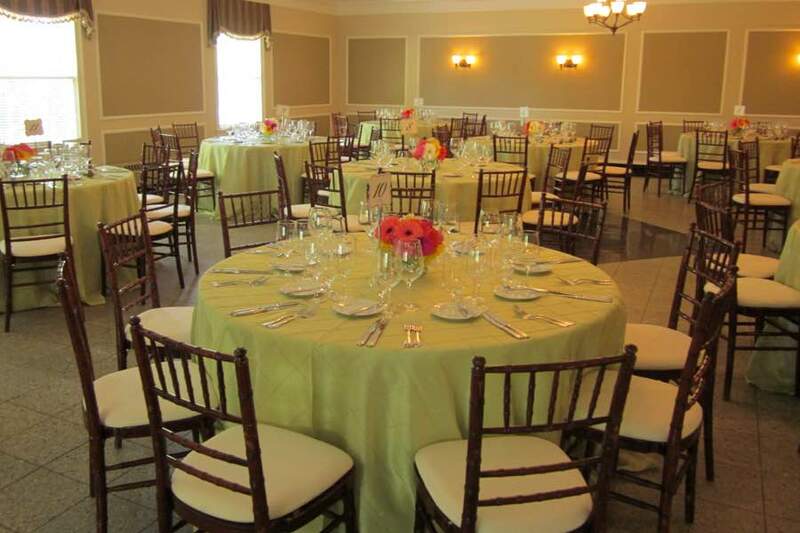 Corporate and professional groups love the convenience and privacy of the Rock Creek Mansion, located less than one mile inside the Capital Beltway with ample, free parking. 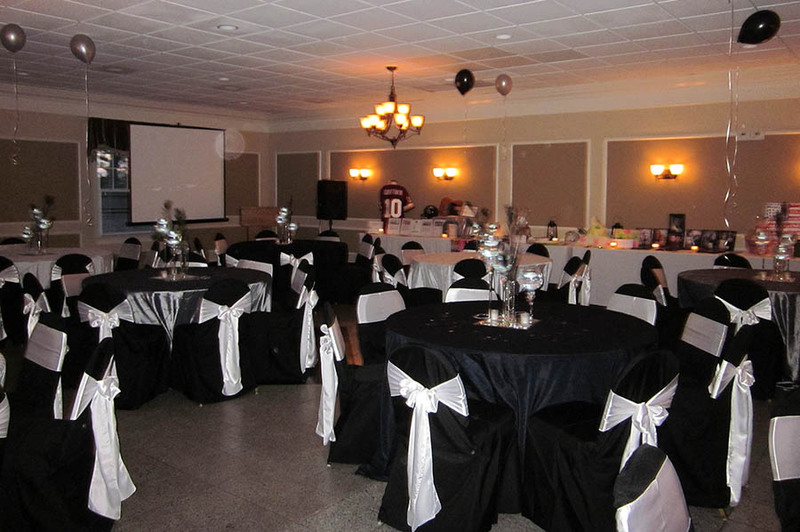 The ballroom can hold 180 theater-style, 160 banquet –style and up to 200 for a cocktail party. 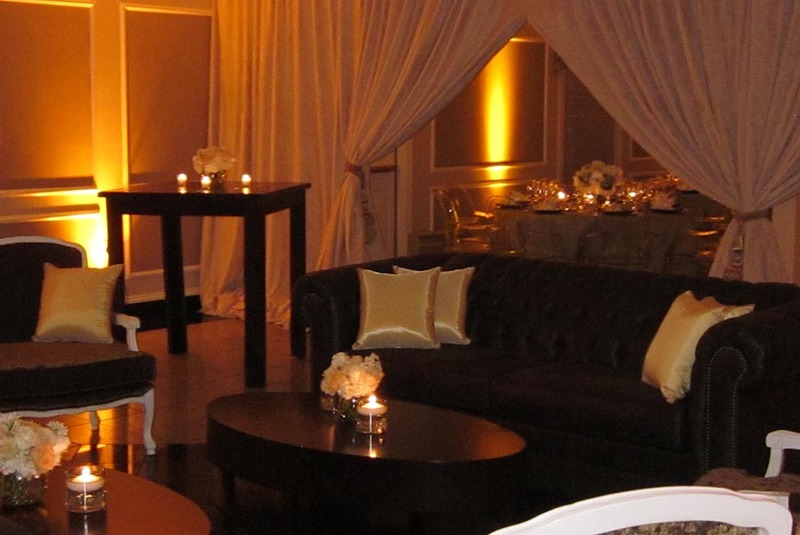 With its elegance, charm and space, Rock Creek Mansion is a popular holiday party venue. The fireplace makes the lounge and bar intimate in winter, while the patio provides an open-air cocktail area during warm months. And for team building, the lawn is ideal for games. 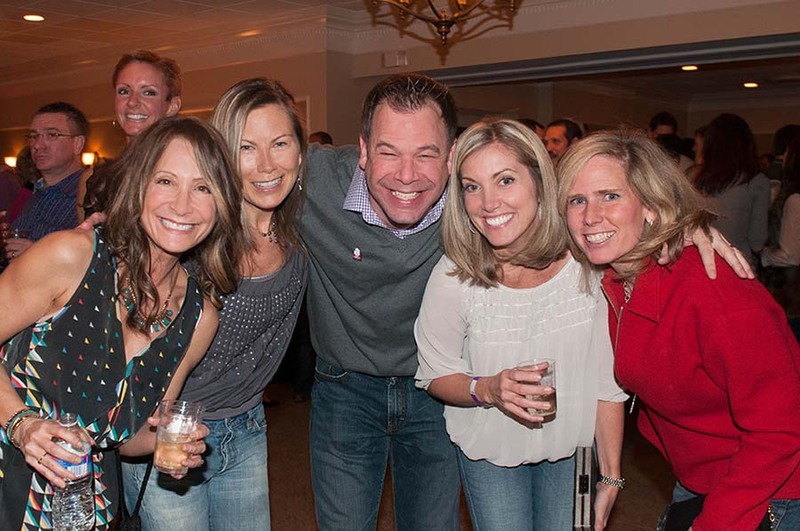 Reunions, anniversary and birthday parties, family-friendly fundraisers and civic events also work well at the Rock Creek Mansion. The spacious grounds provide multiple opportunities for fun, such as field day game activities, face painting and moonbounces.